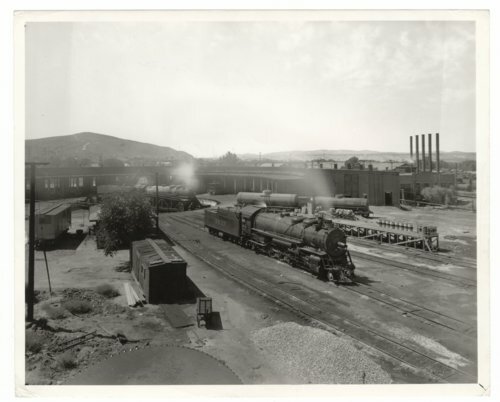 This photograph shows steam locomotive #3839 at the Atchison, Topeka and Santa Fe Railway Company's roundhouse and locomotive service facility in Barstow, California. In the background a steam locomotive is on a turntable. Atchison, Topeka and Santa Fe Railway Company's roundhouse, Barstow, California.